In the 1930s Snelling Yards used to house the ward’s snow plowing equipment. 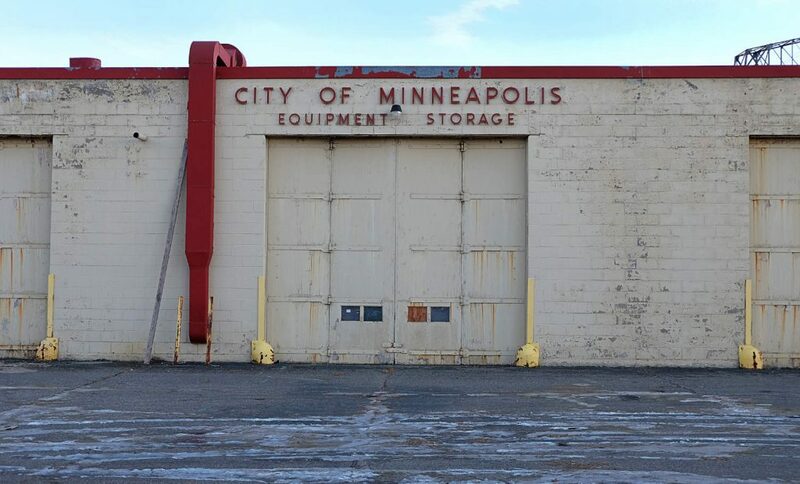 Each ward in the city had a storage facility watched over by aldermen representing each ward. This building with a beautiful art deco style may be demolished with future plans to make room for some 250 units of senior and affordable housing in two five-story buildings. Editor’s Note: Minneapolis Council Member Andrew Johnson’s office related that the Snelling Yards projected is stalled in the planning stage, so no changes are scheduled at this site in the near future.